“I will start posting more info when a have a follower or two. Please come join me on my New Hampshire adventure.” No photos, just a quick two sentence post. 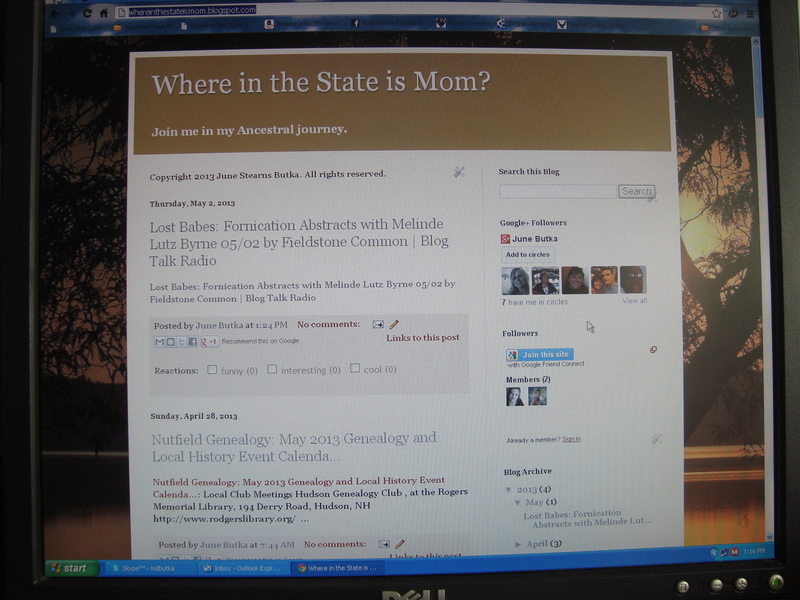 The next two post were about why I started the blog; “Where is in the State is Mom?” and “Where in the State is Mom? 13 Sept 2009” . Not knowing any better I posted two blogs on the same day and time. I’ve come a long way since then. I still have much to learn. I will be revisiting some of my earlier post over the next few days. While my Brain is resting from its concussion. I hope you enjoy the way back memories of days gone by. My where in the State is Mom Blog Post soon turned into a Facebook Page.